“JantaKhoj is the solution to all your problems,” advised Mandeep. “What do you mean?” asked Raunak, getting impatient. “So you are suggesting that I should do a complete background verification of any new driver I am hiring, through JantaKhoj?” asked Raunak, still not convinced that his problem could actually have such a simple solution. “And what kind of verification will these JantaKhoj folks do?” came another question from Raunak. “They will do all this?” asked Raunak, his voice full of surprise. “What?” Raunak asked, wondering if Mandeep had more aces up his sleeve. So that was it, thought Raunak. 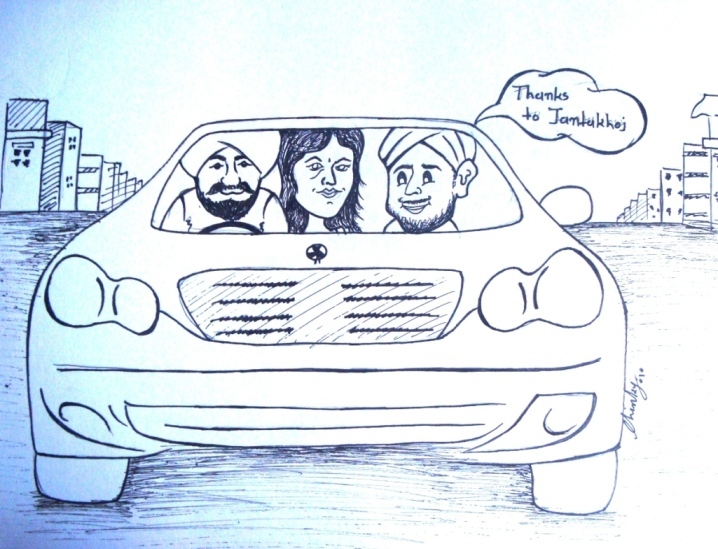 All these suggestions from Mandeep were geared towards making him hire one more driver! Raunak couldn’t stop himself from nodding his head in agreement at the proposal. And so it was settled that the Singh household will have another driver and the Mercedes will not be sold. Lajjo’s smile reappeared on her face and Raunak, for a change, decided to leave the trouble to judging the appropriateness of Satpal Singh to JantaKhoj. When Raunak got the final report from JantaKhoj, he was not only impressed by their efficiency in providing a comprehensive report of Satpal’s past, but also by the impeccability of Satpal’s records. He was almost convinced he had found the driver he was looking for. When Raunak finally saw Satpal in his drawing room, his conviction was complete. Satpal’s face had an uncanny resemblance to his father! Similar height and stature, similar dressing style, similar thick moustaches. Even Lajjo was amazed. Here was a good man, thought Raunak, who desired only what he deserved. The law of karma had come full circle its course, and Raunak, ever so good and kind, had found someone who reflected these qualities. All with the auspices of JantaKhoj! And thus, the society people once again witnessed Raunak and Lajjo resuming their socializing. Both of them loved the feeling of sitting together on the back seat of the car while Satpal drove the Mercedes as a Mercedes should be driven, with elegance and care. And that’s where our story ends!